My love for interior design is almost as great as my love for fashion, so any chance I get to refurnish and/or redecorate - I take it. It's pretty safe to say my style is quite minimalist - both in the way I dress and the way I dress my flat. It's also fair to say that I'm not a big colour fan so when it came to colour scheming, I took both of those points in mind. 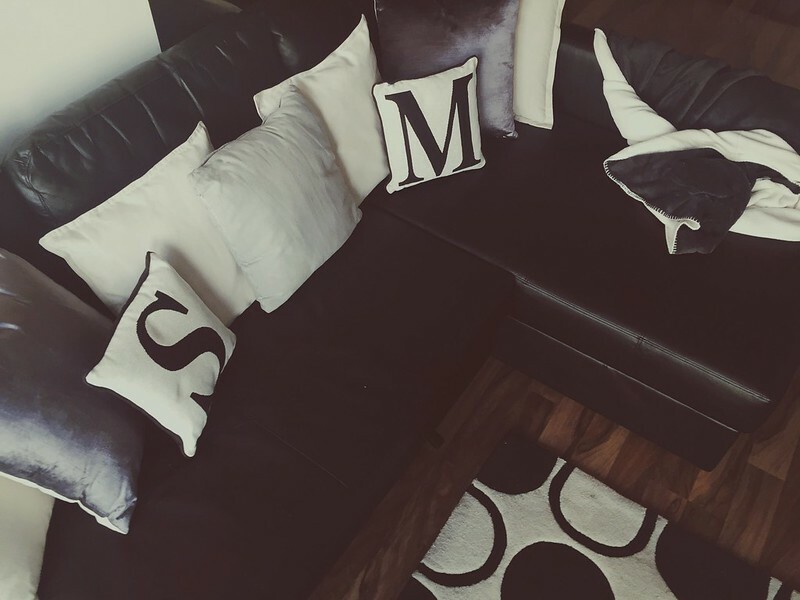 I also wanted to add some more personality and homey touches to the flat as sometimes I can get a little OCD in it looking perfect that I forget that we need to actually 'live here' too. The flat is very modern and sleek so I opted for (almost) fifty shades of grey. Shades range from black to charcoal and grey to cream and I've tried to inject some textures too with plush, soft throws and velvet cushions. Speaking of cushions, I can only imagine the rolled eyes I'll get at work once they see my new cushions as they already 'rip me' for my excessive feature cushions. I could have worse addictions, that's all I'm saying. 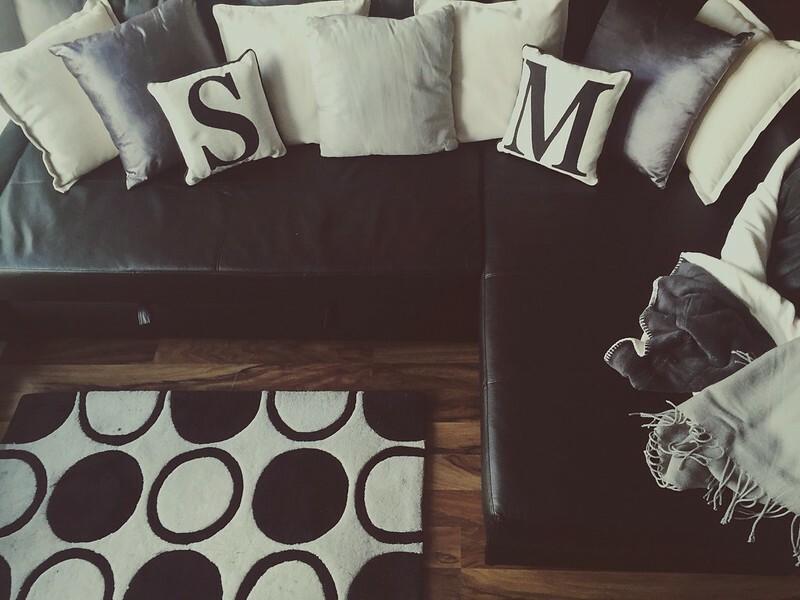 We upgraded our old sofa to a bigger (and in my eyes better) corner number. It also doubles up as a bed so win win really. Because it is quite big, I wanted lots of cushions to fill it so if there's lots of people on the sofa and/or bed, it's a sea of pillows. I'm not a big fan of velvet when it comes to clothes but the finish on the cushions is a lot more subtle and more of a modern upgrade on the trend. 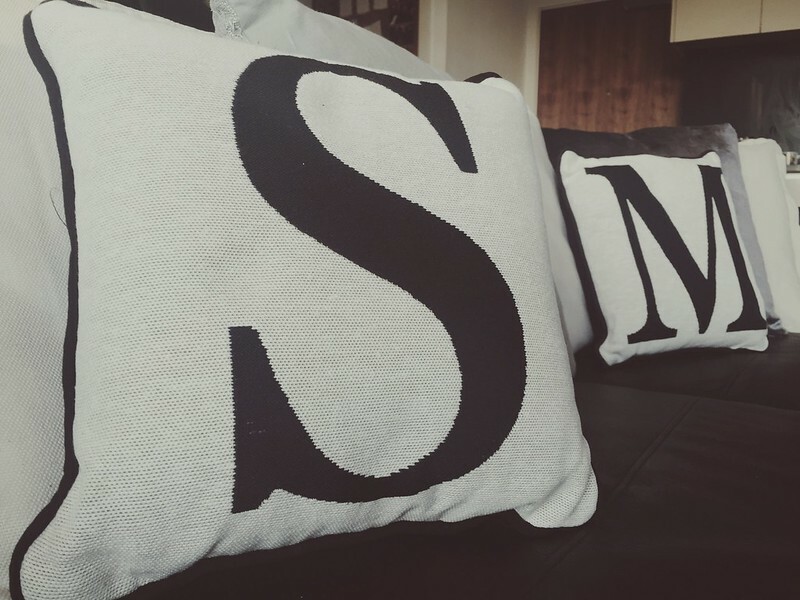 Probably my favourite thing about the 're-vamp' are the alphabet cushions - I've already had a few people inform me that they spell 'S & M' - it's either that or referencing 'M & S.' I love the personality of them, however it does mean that I can't live with anyone bar that initial, unless they'll buy their own pillow because my pillow generosity is now switched off. 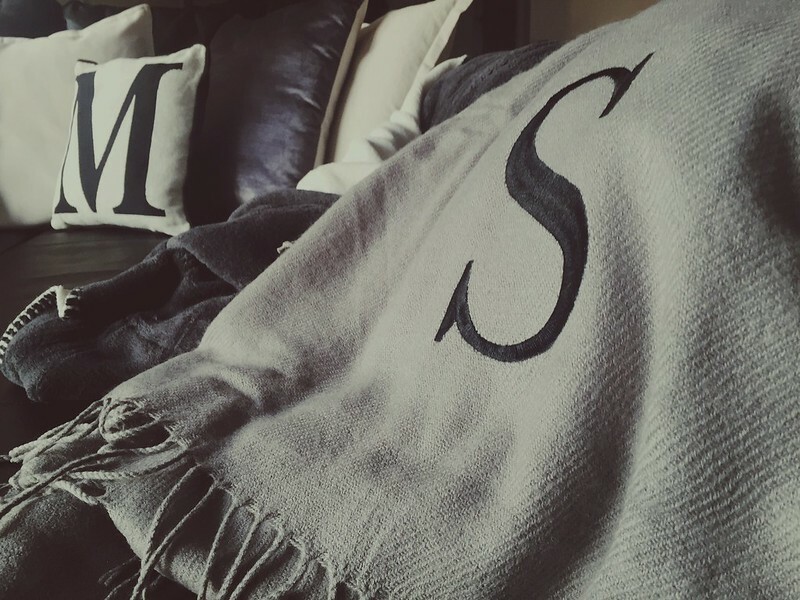 As we're going into autumn/winter, one essential lounge item for me are throws. I feel the cold really easy - meanwhile my flatmate is the complete opposite, so we're constantly opening and shutting doors and windows or if you're me, forever living under a duvet. To try and combat it, I got a couple of new throws. One being a reversible charcoal and cream plush throw that feels just fantastic, as does the alphabet initial tassel throw I added to basket too. In my eyes you can never have too many blankets or cushions, and living in England, you need them. 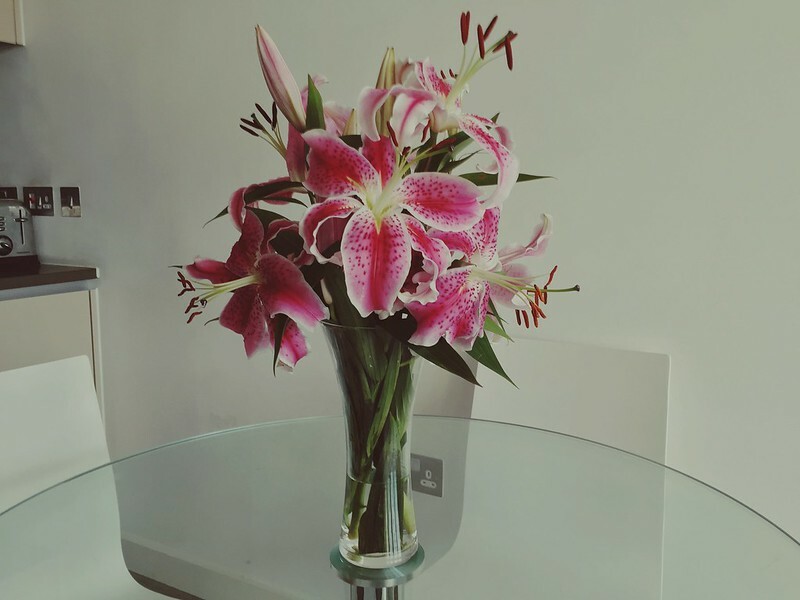 As for other touches, flowers have gone to a bigger vase (groundbreaking news) - and as tulips are out of season, I've been enjoying these beautiful lilies. 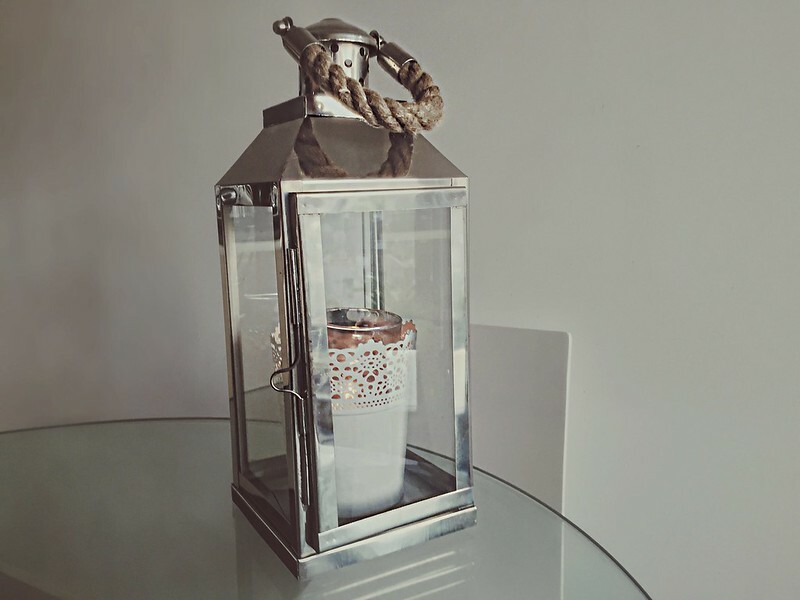 And a favourite new piece to the flat is this beautiful oversized lantern which I got for my birthday. I probably got too excited changing the look of the flat but hey, I love interior design - hopefully it lasts longer than three months, as I'm not sure my bank balance can take my need for change.